Another CHANEL Pop-Up is headed your way and this time it's like a beauty laboratory! 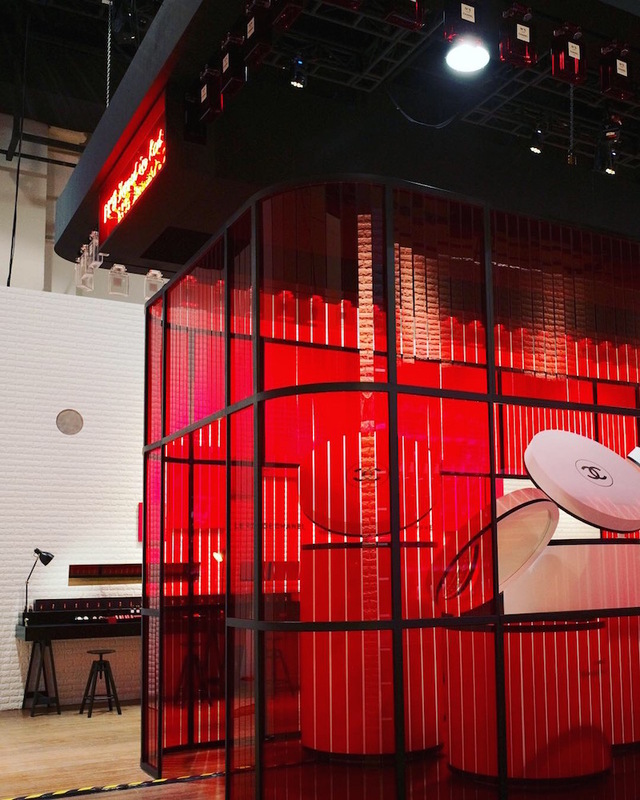 Another CHANEL Pop-Up is headed your way and this time it’s like a beauty laboratory! 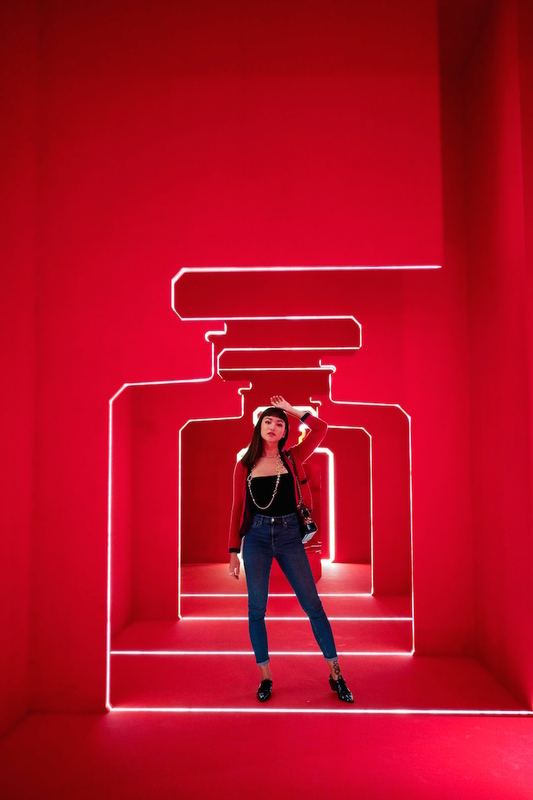 11 Oct 2018 — We just visited the CHANEL Le Rouge pop-up with Hanli Hoefer, and here’s a first look at everything at the gorgeous red-hued space! This event admits attendees above the age of 18 only. Kindly note that we will not be able to permit children into the venue. Attendees must register individually for the event. 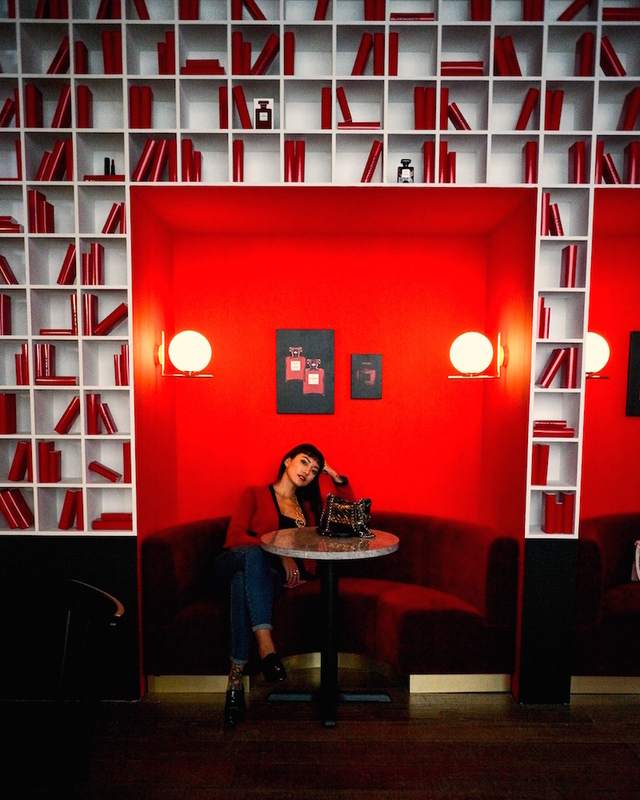 To many of us, red is the colour that’s associated with lust, passion, love, and beauty. 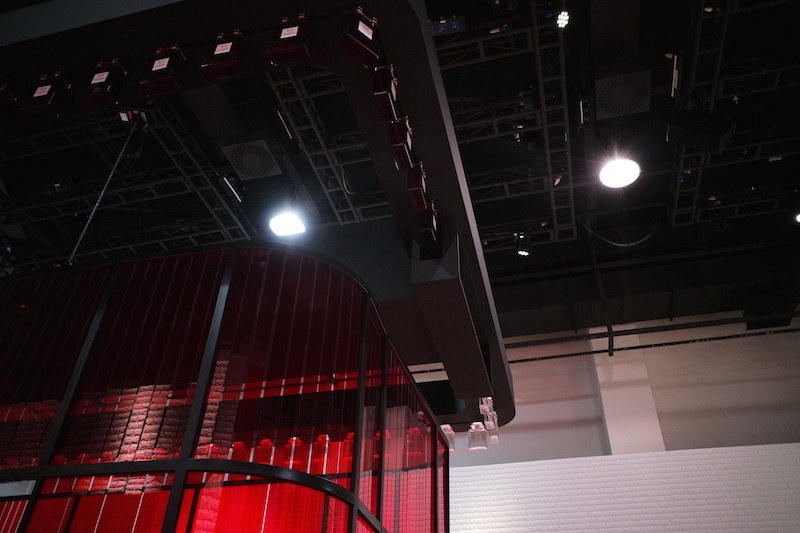 But not to forget, red also represents the colour of life for Gabrielle Chanel herself! Before creating the house of CHANEL, Coco was Gabrielle. 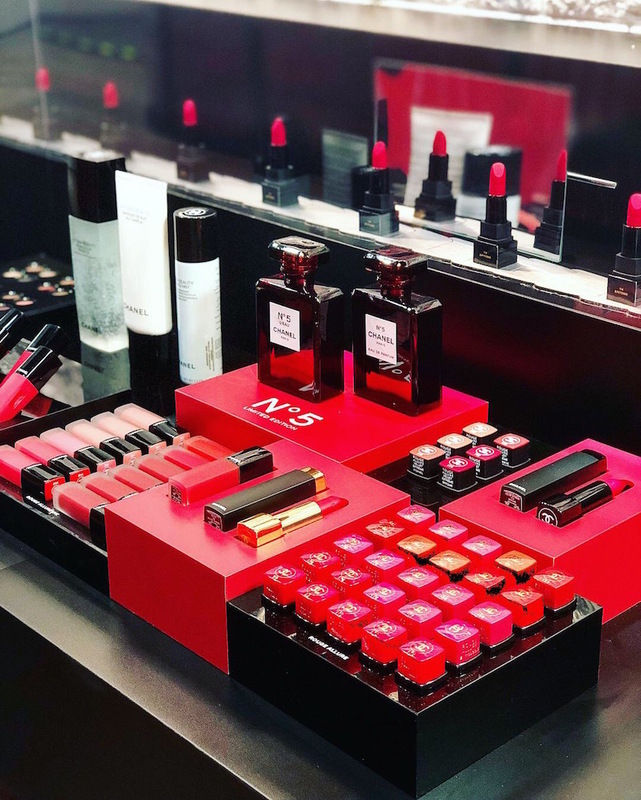 The intense vermillion red that we’ve seen in popular products like Gabrielle Chanel’s first lipstick, represents a symbol of courage and passion. 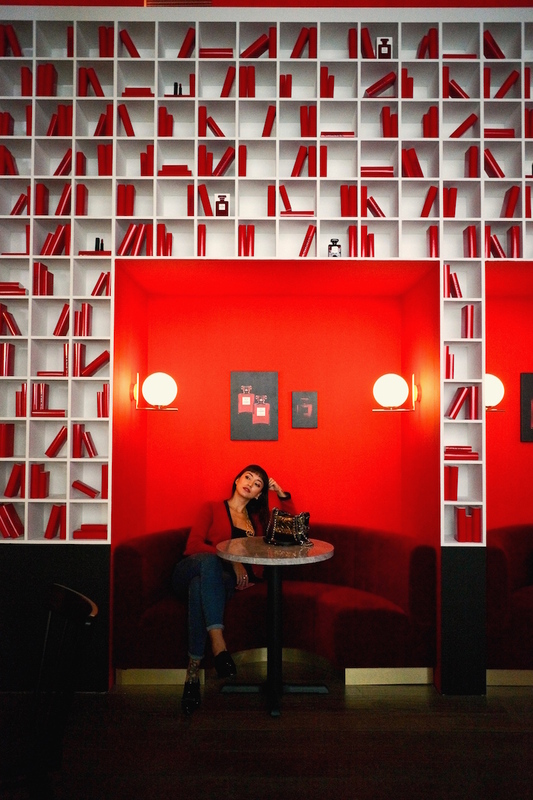 So what better way to pay homage to the brand’s iconic colour than a pop-up store dedicated to exploring red in a myriad of textures and forms. 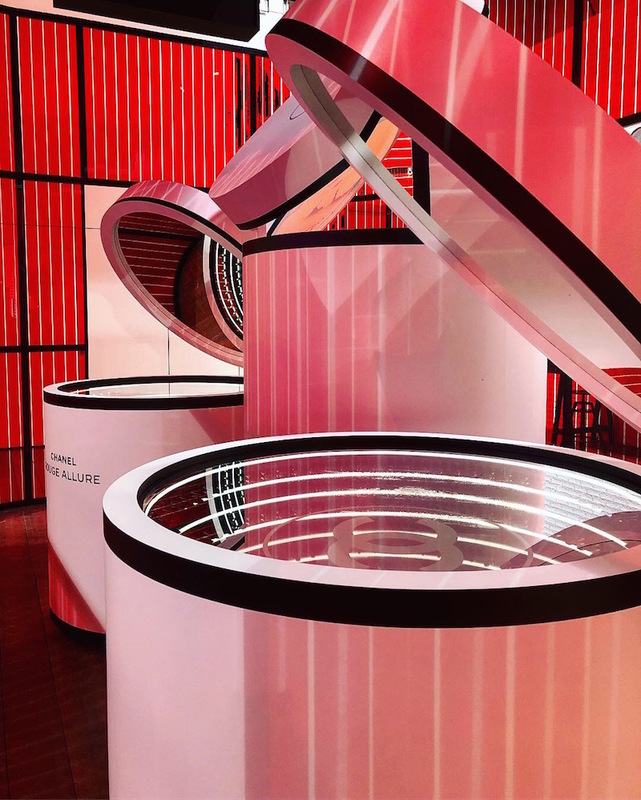 The LE ROUGE pop-up store that’s scheduled to be open in Singapore this October, will consist of three showrooms, each unveiling the creative process behind a particular product — Create, Encounter and Revel. 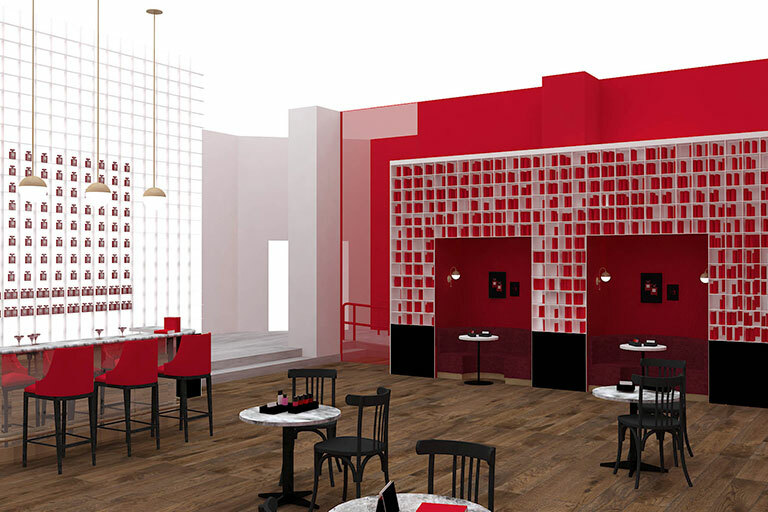 The first showroom at the LE ROUGE pop-up store to be held in Singapore this October. 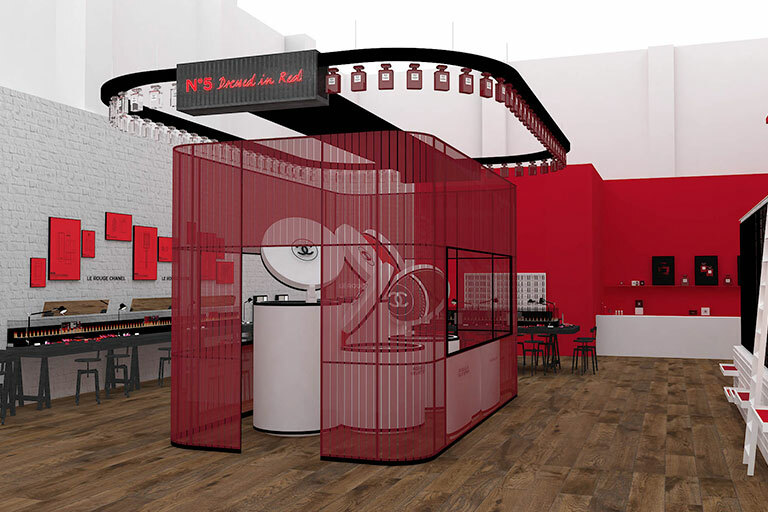 That being said, the new pop-up will feature its very own Red Factory; where you can expect an infinite array of lipsticks and nail polishes, with Chanel’s very own N°5 bottles transforming from its usual clear flacon to a crimson hue. 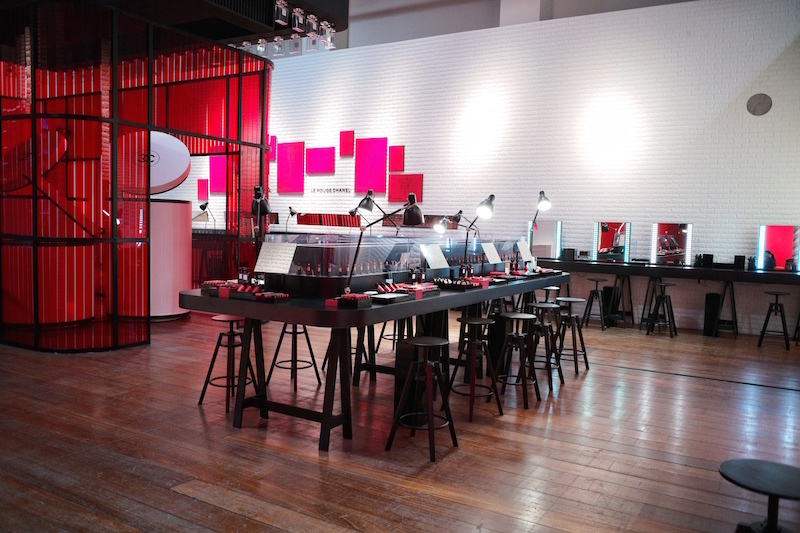 Consider it an interactive experience as guests will be invited to try their hands on the new Rouge Allure Velvet Extreme and Rouge Allure Liquid Power lipsticks at the makeup stations around the room. 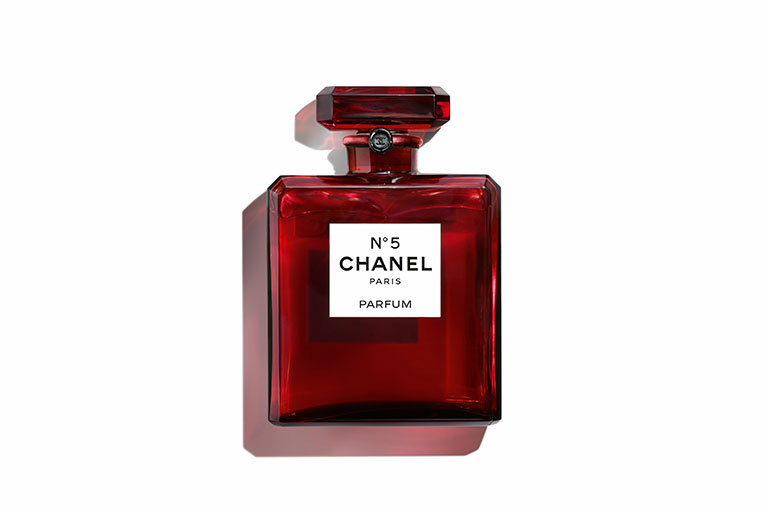 No clue on how the limited edition Crimson Red Chanel N°5 bottle looks like? Well, take a closer look! 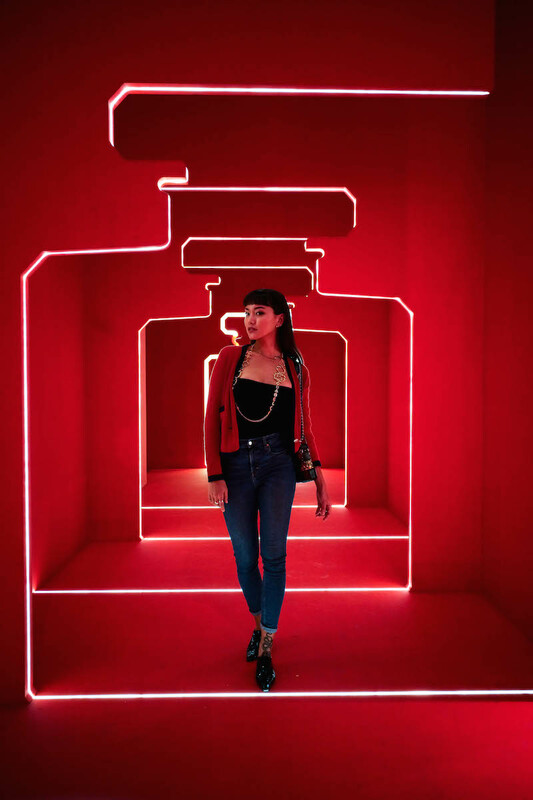 For the first time in history, Chanel’s classic fragrance bottle is donning a new hue of red and we’re all for it! The colour of the bottle imbues the feeling of boldness, freedom, and strength of a woman who forges her own destiny. The clear rectangular bottle itself was also designed in 1921, and has become the manifesto of the modern aesthetic — evolving subtly over the years while maintaining its balance of shape and proportion. 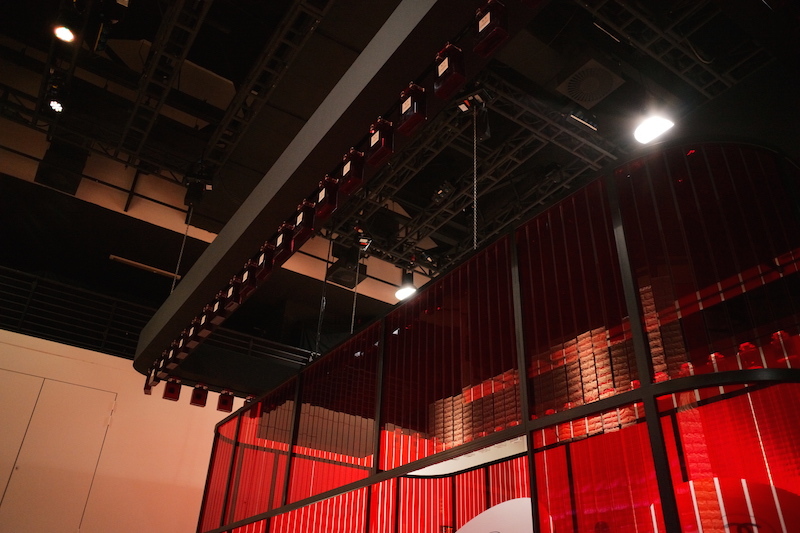 A closer look at the second showroom at the LE ROUGE pop-up store. 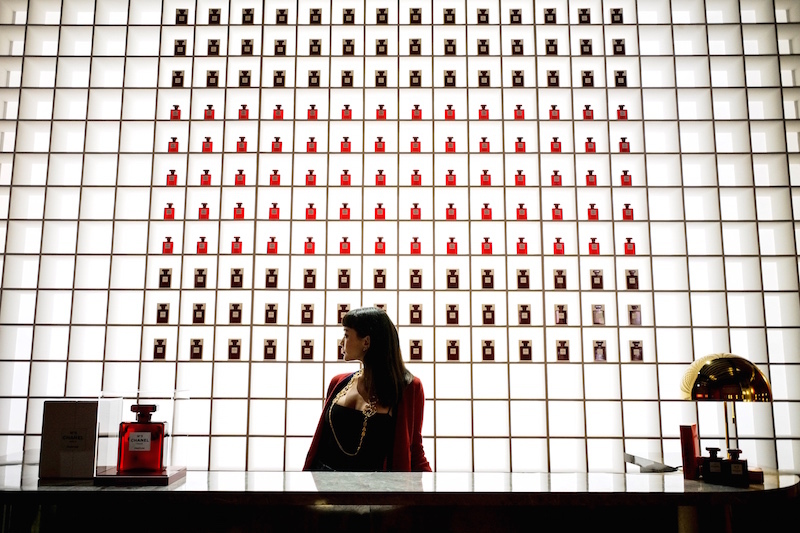 To enhance your experience, the next showroom also features a passageway bathed in red where guests can fully immerse themselves as if they were in the bottle itself. 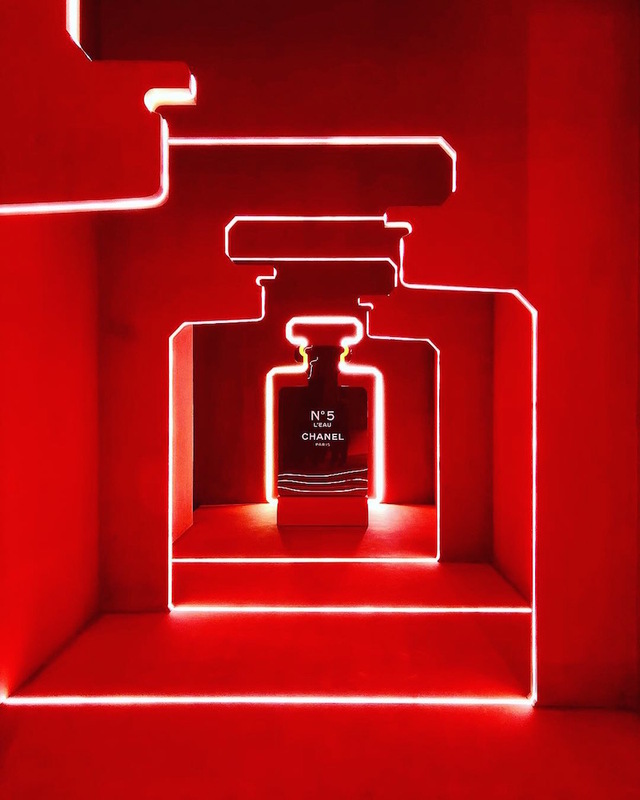 Be transported to a world of scents, which features the silhouettes and geometric lines that recall the architecture of the Chanel N°5 bottle. It doesn’t end there. 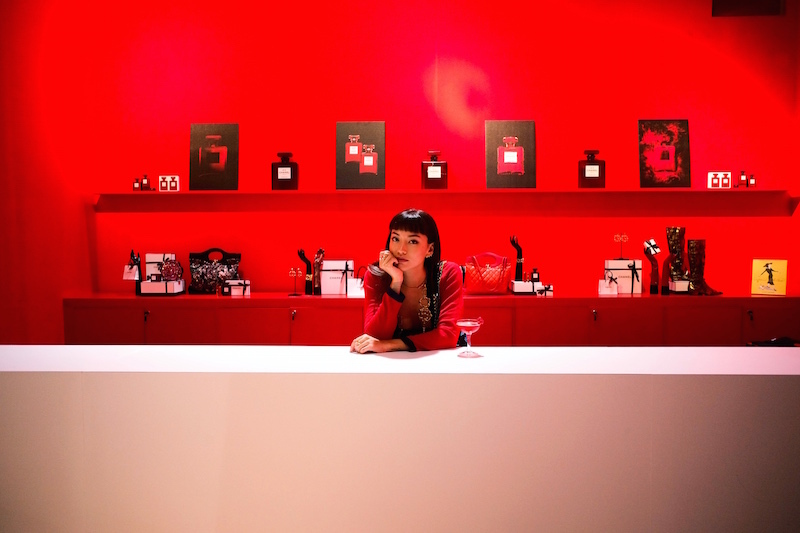 The pop-up store also features a private lounge where specially-concocted red cocktails will be served to guests. 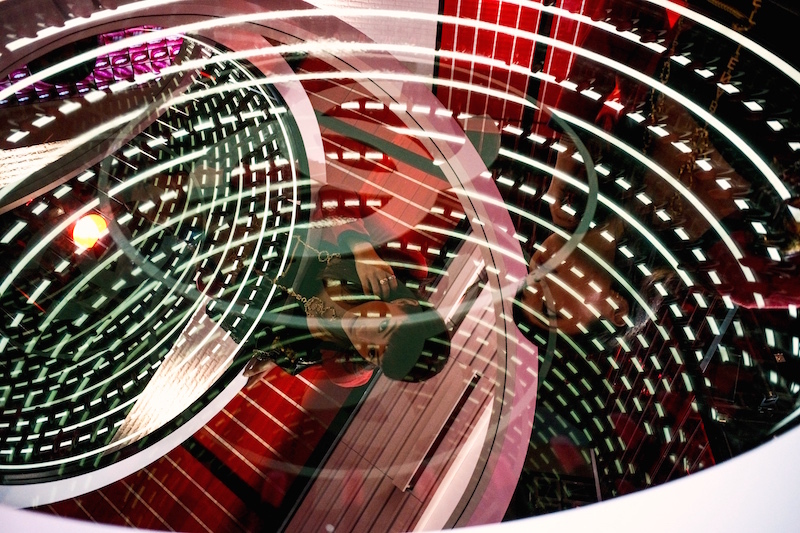 It’s almost reminiscent of the splendour of the bars that you see in well-acclaimed hotels. 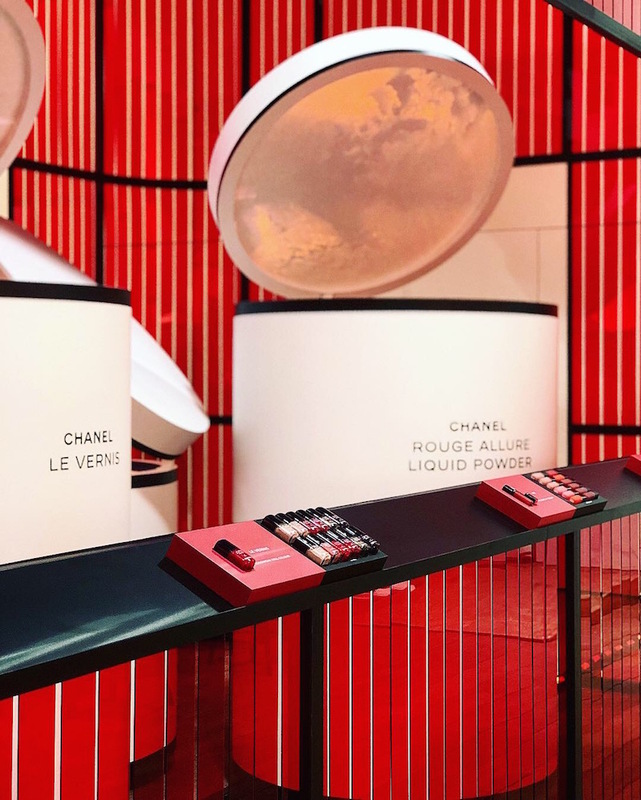 So mark your calendars and make sure to swing by Chanel’s LE ROUGE pop-up store for an unforgettable experience like never before. They’ll be opening their doors from 17 to 21 October 2018, so it’s best if you register your attendance here to secure yourself a slot into the store. It’s going to be really happening so you wouldn’t want to miss out on this event. Admission Requirements: This event admits guests aged 18 and above only. Kindly note that children will not be permitted into the venue. Attendees must register individually for the event.